Many an artist down the decades - or even centuries - has likened their practice to the art of dance, but that influence is perhaps no more indelible and carefully considered than it is in the work of Chennai, Tamil Nadu native A. Selvaraj. Although one would not necessarily look to his paintings and immediately pick them out as those of an actual dancer, there is nonetheless a sense of fluency from the artist's consciousness that would seem to give the game away. There was little about A. Selvaraj's family pedigree that indicated a future for the youngster as one of India's more celebrated painters, the holder of his first solo show in Chennai in his early 20s, followed by a one-man show in Bangalore when he was barely 30. In the same year as his landmark Chennai show, he also became a life member of the Tamil Nadu capital's Cholamandal Artists' Village. That year - 1966 - proved an especially momentous one for the fledgling artist, also marked by his involvement in the National Art Exhibition in New Delhi and receipt of the Award of Chennai's Progressive Painters' Association, one of the country's oldest art organisations. He has gone on to hold all manner of solo and group shows across India in subsequent years, with those most stunned by his success surely his parents, humble farmers who had once funded an education in engineering for him. But of course, theirs was a son with other ideas. Rather than diligently attending to his engineering studies, Selvaraj indulged a blossoming love of dance, especially of the classical Indian kind, not only involving himself in recitals but also conducting and composing his own with his fellow students. It was this enthusiasm for all things performance - also encompassing dramas - that led him to an appreciation of the wider arts and eventually, if still somewhat discreetly, to drawing and painting, to which he would become completely devoted. Whereas many other artists merely signal a casual interest in dance, A. Selvaraj's fluid creations speak of a much more direct acquaintance and comfort with the philosophy and practice of dance as a performance. Indeed, Selvaraj has been spoken of as a true 'performer-creator' in his painting, an artist with a mastery for the application of paint with a fluidity akin to a stretch of moving water, splashing into a majestic waterfall of energy and colour. How could someone who was destined for the engineering profession have enacted such a dramatic transformation in his destiny, with seemingly little external compulsion to do so? Well, his surroundings did probably lend themselves more strongly to an artistic career than may initially seem the case, Chennai having already enjoyed a potent reputation as a painters' and sculptors' nurturing ground even before Selvaraj's rise to prominence from the suburb of Gudiyattam. Such was Selvaraj's conviction as to his rightful life route even at an early age, that before the end of 1960, he had already attained his Diploma in Fine Arts from the Government College of Arts & Crafts in his home city, in which many of his subsequent art-career activities would take place. The Cholamandal Artists' Village - India's largest artist commune, named after the notably arts-friendly Chola dynasty - has played a central role in Selvaraj's continued high profile, giving him a significant solo exhibition in 2001, as well as various group shows down the years. These included the Small Format Exhibition that took place in 1999, as well as many well-attended Annual Exhibitions in the early years of the 21st century. 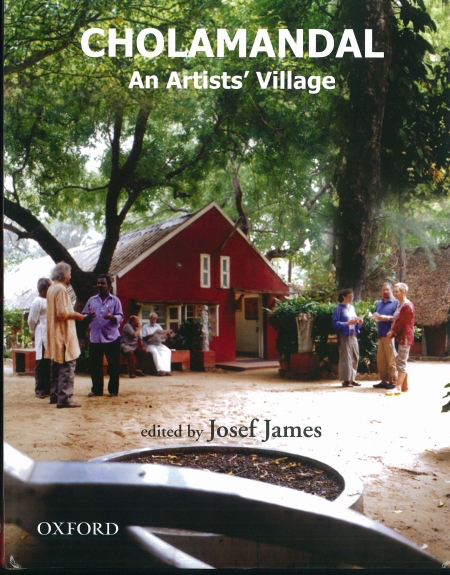 Such has been the level of interest in Cholamandal over the years that it was even the subject of a 2004 book, Cholamandal: An Artists' Village, edited by Josef James and published by Oxford University Press. Few artists have communicated the sensuousness of dance quite as convincingly and as intimately as A. Selvaraj. 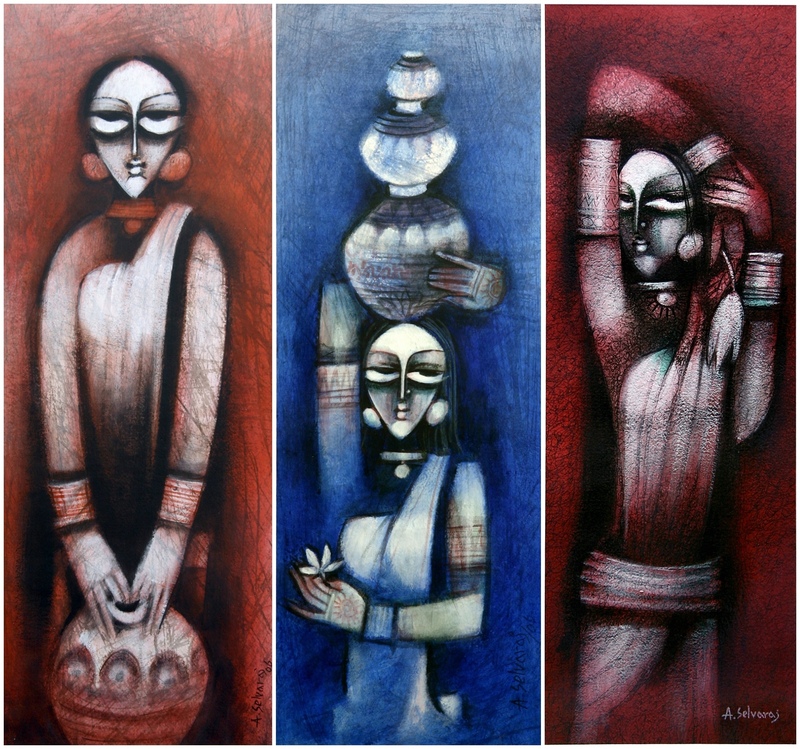 Far from merely just another member of the now-legendary Cholamandal Artists' Village, the painter continues to win new fans well beyond the confines of Chennai - not least ourselves here at Addicted Art Gallery. 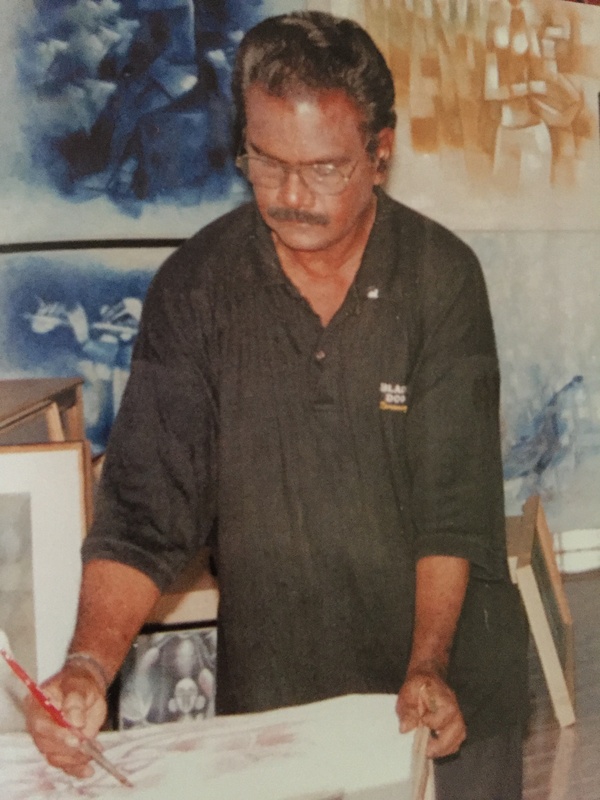 The artist's reputation down the decades also has much to do with his acclaimed workshops both within and outside Chennai, while his painting style remains globally admired and unmistakable. What better credentials could any Chennai painter possibly require to be considered a true local and regional artistic great?